I like to say that smoothies were my gateway to eating healthy food. My heath guru Kelly Leveque suggests in her book, Body Love, to start by adding in a smoothie each day for breakfast keeping everything else normal. Then when you see how good you can feel after that, you can start adding in other healthy swaps. It was a process that really worked for me. One of the main components to a good smoothie is almond milk. I was going through lots of it per week too. Although, I really like Califia, there are some gums in there that I would rather not have. I think New Barn is an awesome brand but they are too costly to make it a regular habit. Enter making your own almond milk. Basically, it was the pinnacle of my hippie transformation. I thought that it was going to be hard but it was actually really easy--you just have to remember the night before to soak the almonds. Also, you can order almonds in bulk on Amazon and have many bottles of almond milk in your future. 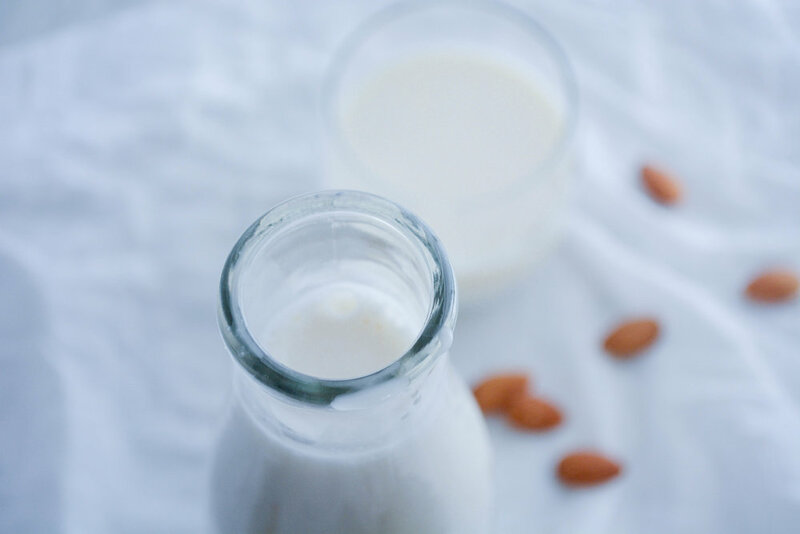 Follow along for the 5 easy steps to making your own almond milk. Soak one cup of almonds in two cups of water overnight. Dump out the water and add almonds to the blender. Add 4 cups of fresh water, salt, plus optional vanilla and dates. Blend on med/high until liquid is a uniform white. 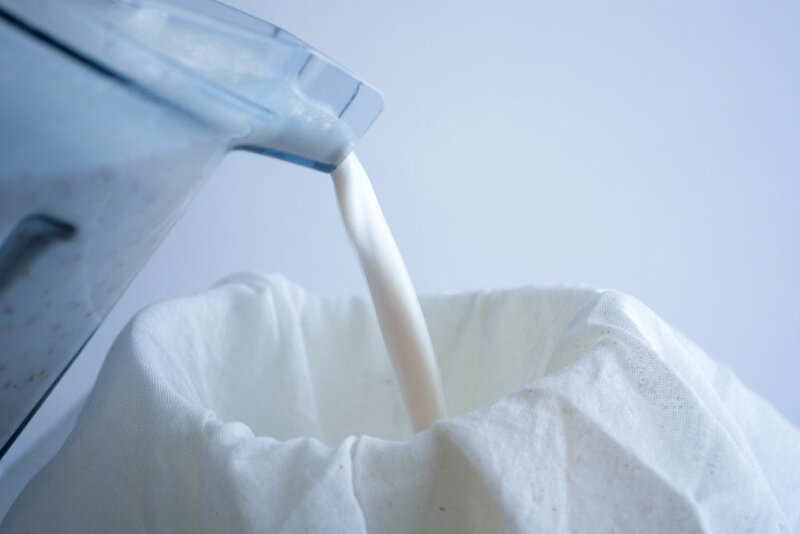 Strain mixture in a nut milk bag or over cheesecloth or a flour sack dishtowel. To ensure to you get everything feel free to "milk" the pulp accumulated at the end. See it is super easy. You can even make crackers out of the pulp or just discard it. It lasts about 5-7 days in the fridge. If you notice separation just shake it up. And there you have homemade almond milk.